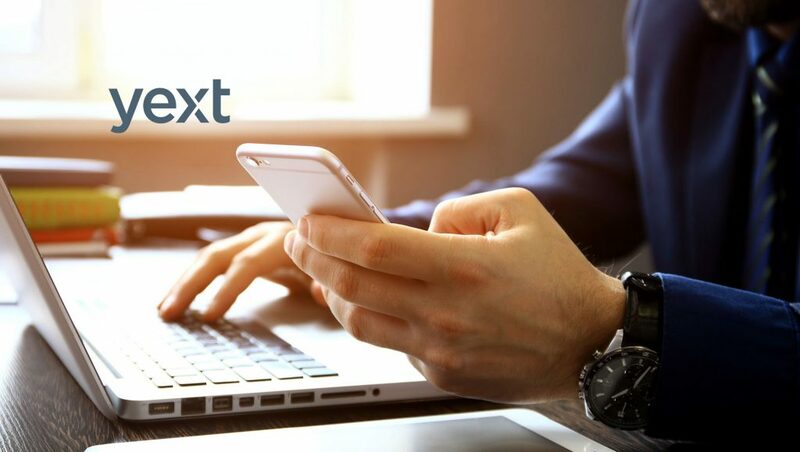 Yext, Inc., the leader in digital knowledge management (DKM), released new research on how consumer search behavior changed in 2018. The data revealed that, as search technology has gotten more intelligent, consumer interactions with businesses are rising across the board in services like Google, Alexa, and Siri. In fact, new reviews per business location were up 87% in 2018 over the previous year. Businesses in nearly all industries have seen a greater proportion of their brand interactions happening via AI-enabled services rather than on their own websites, with customers often interacting off-site and then visiting business websites to take action on transactional local pages. Yext’s 2018 brand interactions research quantifies this international shift in the marketing funnel. Customer Actions per business location in search grew 20.1% from 2017 to 2018. More and more customer actions (clicks to call, clicks for directions, and clicks to website) are taking place in search results, like knowledge cards and local packs. Average new reviews per location nearly doubled from 2017 to 2018. Locations received an increase of 87% in review volume, as consumers increasingly leave their feedback online. Local Pages are increasingly where the action is. Actions on transactional local pages, like booking appointments, placing orders, and signing up for information, were up 30.4% in 2018. *Yext examined the volume of actions for a US and international sample of more than 300,000 Yext customer business locations, reviews volume for a sample of more than 150,000 business locations across the Yext Knowledge Network and actions on local pages for a sample of more than 59,000 business locations from the 2018 calendar year, and compared them to the same metrics for the same businesses for the 2017 calendar year.